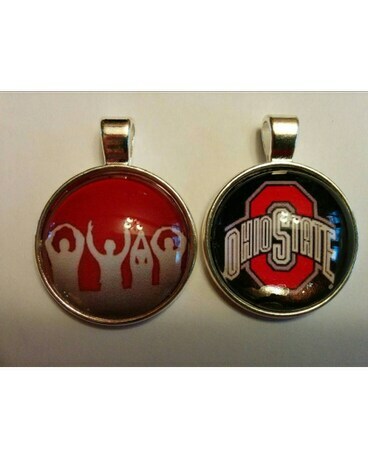 Stunning .925 Sterling Silver necklace with homemade 3/4" Ohio State University Pendant. Your choice of Brutus Buckeye or Block "O". Sealed under clear glass dome, 2MM Snake chain, 22" in length. One of a kind design for Reno's Floral customers!